a world of possibilities for stuffed cabbage rolls, fermented! Polish stuffed cabbage (golabki, or little pigeons, pronounced, basically, Guh-WUMP-kee) was never a favorite of mine growing up. I don’t particularly like the mixture of ground beef, rice, and sweet tomato sauce — often ketchup — in the funky steamed cabbage that forms the roll. It is rarely seasoned properly, so it lacks salt and flavor, and with its yellow-grey leaves and smear of orange sauce is just about the ugliest thing to emerge from a pot ever. And the name is vaguely horrifying. But, I reasoned, if a dish has survived generations across an entire continent, it should have a good reason to continue. I do like meatballs, and I do like cabbage, and I do like the Greek dolma stuffed grape leaf filling with lemon. I’d try to pull together a tomato-free version of the classic stuffed cabbage recipe, something that improved the taste and the look as much as possible. Turns out I can’t stop eating them now. They’re surprisingly light and flavorful, and would make a great new year meal. The beauty of stuffed cabbage is the variety of possibilities. If you can break away from your Eastern European traditions, or look more deeply into them, you’ll see that stuffed cabbage has as many flavors as Eastern Europe had geopolitical borders. And the little pigeons graciously subjugate themselves to our new emphasis on local and whole grains, too. The basic recipe is 1 cup of rice, 1 lb. of ground beef, and an egg, with seasonings. Instead of a boring swap to brown rice, we could start with kasha or buckwheat groats (or cracked grains), a traditional substitute for rice golabki. Quinoa or couscous would be similarly mushy and appropriate. And if we go there, we could easily move over to wheatberries or rye berries or frikeh or fregola sarda for a less firm stuffing, but still very delicious. We used black “forbidden” rice, then swapped out the ground beef for some ground veal and pork sausage I had languishing in the freezer. The pork sausage added a moistness and flavor from within. From without, well, I had the brilliant…I’m going to go there, BRILLIANT…stroke of BRILLIANCE to use whole leaves of fall cabbage that I had fermented sauerkraut-style a few months back. These sauerkraut bombs I nestled in between rolls wrapped more conservatively with savoy cabbage, a light variation on the more traditional round cabbage leaf wrappings. When cooked in chicken broth instead of tomato sauce, it make for a tangy and delicious stuffed cabbage. Don’t have whole cabbage leaf sauerkraut? Just use regular sauerkraut, mixing some in with your filling and adding a layer or two in the cooking pot for more flavor. If you’re meat-free, I suggest using any number of fillings to substitute for the meat. It’s perfectly traditional to use farmer cheese or potatoes or mushrooms with your rice/kasha (try this Jewish version with mushrooms, kasha, and a cream sauce). And why not lentils and chopped walnuts and carrots? Kohlrabi! Leeks! Parsnips? 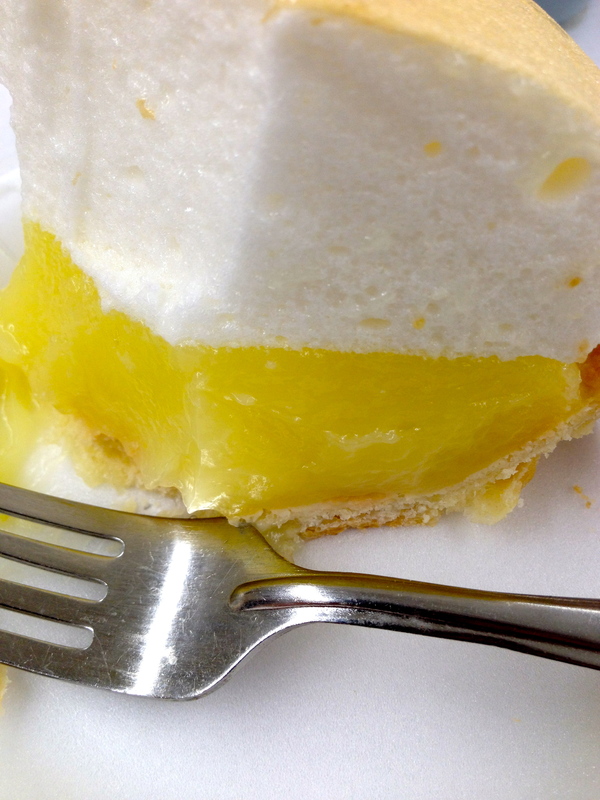 If you’re afraid of the filling not holding together, just add another egg. I also suggest bread crumbs to help on that score. The decadent can skip the grains altogether. Chopped pork shoulder is divine. How about a traditional tamale stuffing of shredded pork or beef, almonds, and raisins? And think about it: do you like stuffed peppers? Same filling, so why not make an inverted stuffed pepper, and put the peppers inside the cabbage rolls? Chef Tiffany Norton at PartyCart even uses pickled ginger for her forcemeat. Why can’t you? Yes, the world is your cabbage. You can stuff it with anything. EDITED TO ADD: More ideas from the Queen of Preservation, Linda Ziedrich! EDITED AGAIN TO ADD: A vegetarian Polish option from a reader, Linda Peterson Adams. Thanks, Linda! “Parboil the cabbage to remove leaves. [Mix] 2 cups cooked dry rice, pearl barley or buckwheat groats, a few tablespoons soaked and chopped fine porcini mushrooms, salt and pepper. Stuff rolls with this mix. 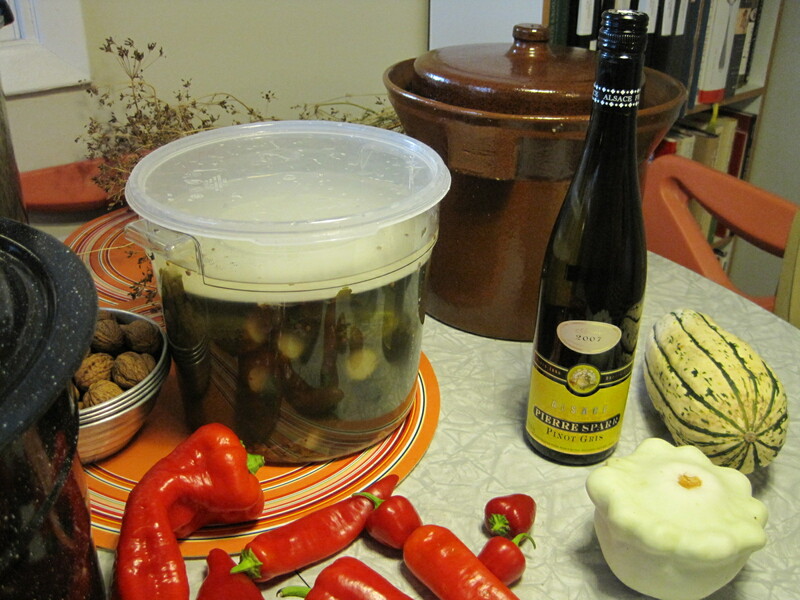 Put a layer of leaves in a dutch oven, and add 2 cups fermented rye liquid or stock with the mushroom soaking liquid. Dot with butter. Cover and simmer until tender, about an hour. Thicken leftover liquid with beurre manie. You can also add sour cream at the end. You can also use sauerkraut to nestle the birds in in cooking. Cook the rice or other grains as necessary and cool. Prepare the cabbage leaves. Heat a pot large enough to submerge whole cabbage leaves with enough water to blanch the leaves. Carefully remove the core and outer leaves, keeping the whole cabbage intact. Peel off the layers of leaves without tearing if possible, and rinse thoroughly. Reserve the inner, smaller leaves for the bottom of the pot. When the water comes to a boil, blanch the prepared leaves for about 30-45 seconds, or until pliable and easy to roll. Note: plain cabbage should be blanched longer, about 2 minutes; if you are using whole-leaf sauerkraut instead of savoy cabbage, just rinse the leaves, don’t blanch them. Preheat the oven to 325 degrees and place the smallest leaves in the bottom of a dutch oven or similar large pot with a lid. Mix up the filling. Add the cooled, cooked grains, the meat/cheese/mushrooms, a large egg, and a cup of the sauerkraut (eliminate sauerkraut if you are using whole leaf sauerkraut as a wrapping, add breadcrumbs for structure if you are using the vegetarian fillings). Drop a bit of the filling into the steaming water or the microwave for a few seconds, so it will cook enough so you can taste for seasonings. Adjust seasonings with salt, pepper, and paprika. Roll the cabbage rolls by placing about 2 tablespoons full of filling at the thick end of the leaf, folding the end over the filling, then folding the two sides over the filling, then rolling up to the end tightly. Place seam side down into a dutch oven. Repeat for all rolls. If there is filling left, roll it into a meatball and nestle it among the rolls. Nestle the rest of the sauerkraut between rolls and between layers. Add chicken stock, cover, and cook for about 2 hours, or until the filling is firm and most of the stock is soaked up into the cabbage rolls. Better the next day. What’s that smell? It’s not you, it’s me. I’m working on kim chi, sauerkraut, and fermented pepper samples for my live demo at the Fun with Fermentation festival tomorrow, Saturday, January 14. The festival, a fundraiser for Food for Lane County and the Willamette Valley Sustainable Foods Alliance, runs from 11-4 p.m., and it’s a good one, with hour-long demos all day and many opportunities to taste fermented foods and beverages made with pride in Eugene, Oregon, and the surrounding area. Fancy some tempeh, sourdough, kombucha, yogurt, or beer? 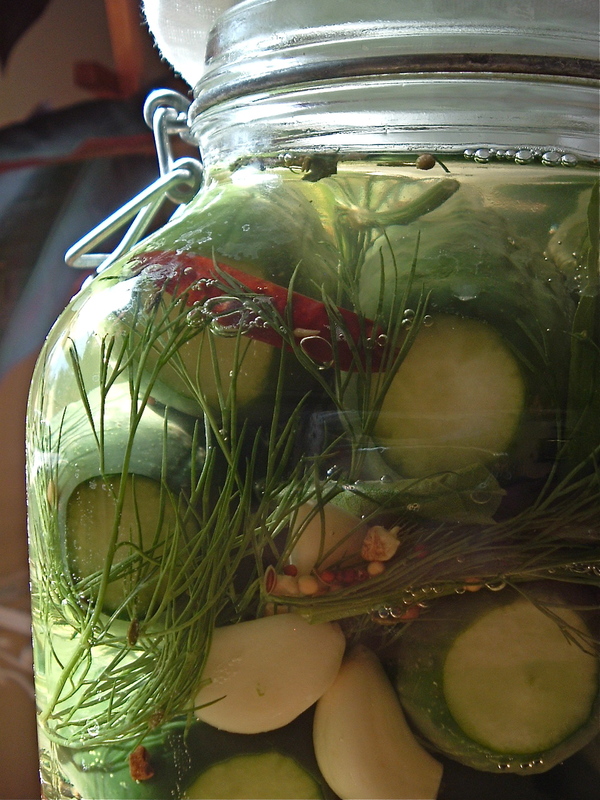 The Willamette Valley Sustainable Foods Alliance is pleased to announce the third annual “Fun with Fermentation” Festival. Join us January 14th, 2012 from 11 AM to 4 PM at the WOW hall. Over 25 local natural foods businesses will be showcasing, demoing, and sampling locally produced cheeses, chocolates, coffees, wines, beers, kombuchas, breads, tempeh, pickles, and many other local fermented delicacies. Devour will be on hand serving a menu which will highlight fermented ingredients. 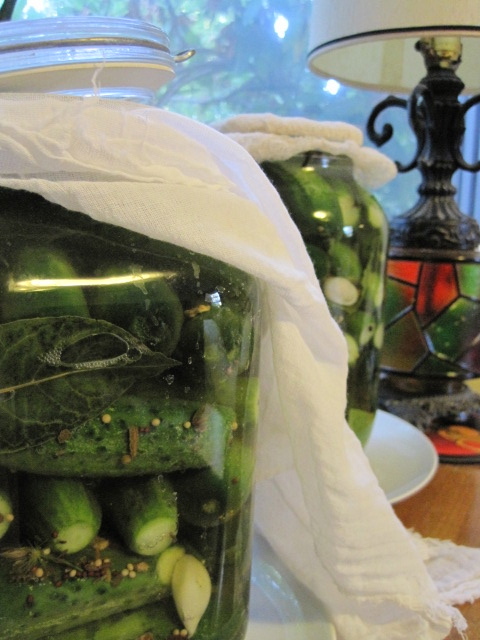 The event has an educational focus centered on discovering the many ways that fermentation is practiced with many foods. There will also be a kids zone, raffle prizes, and beer/wine bottle sales downstairs. Join us on the stage for educational lectures and demonstrations! The event is a fundraiser for Food for Lane County and WVSFA. Admission is on a sliding scale of $10-20 per person, or $5 with 2 cans of food. Children 12 and under are free. 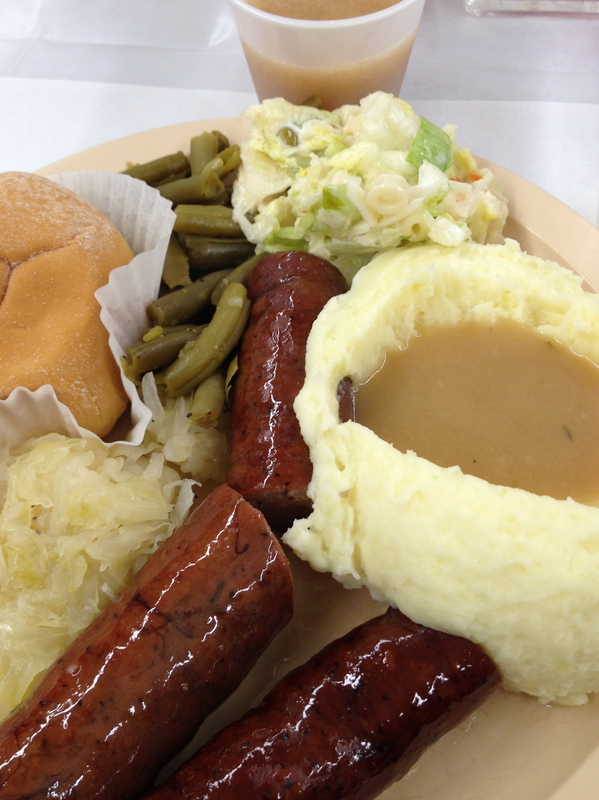 Nothing remotely gourmet about the 77th annual Verboort Sausage and Kraut Dinner. 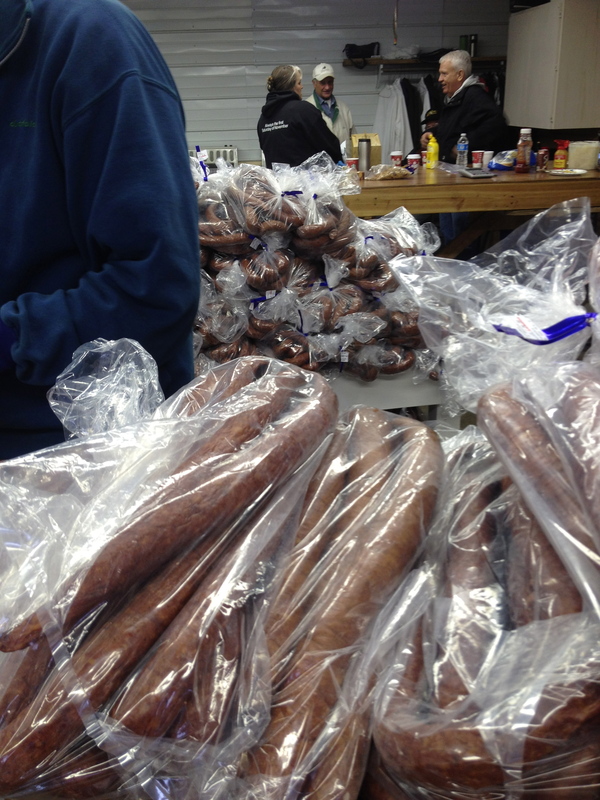 Held at the Visitation Catholic Church in Forest Grove, Oregon, by a Dutch-American community organization that’s been going strong since the pioneers, the dinner is part of a sausage extravaganza. They chop, stuff, and smoke over 17 tons of pork and beef each year for the sausage, and serve it up with mashed potatoes in sausage gravy, a mild sauerkraut, homegrown well-done beans, tart and sweet Gravenstein applesauce, a dinner roll, and a curiously good oniony cole slaw with macaroni pasta salad. It was familiar food, the stuff I grew up with, heavy on the carbs, seasoned very simply with salt and a tiny bit of pepper. Huge portions and all you can eat! What in the heck am I doing in Forest Grove? I know, I know. Retrogrouch wanted to freeze his skinny little heinie off on a 100K bike ride, the Verboort Sausage Populaire Randonneur, so I came along, thinking I’d check out the soaking pool and work in the hotel. And buy sausage, of course. Five bucks a pound, bulk! And don’t forget the sauerkraut, these giant barrels filled with fermented goodness. They put the empties just outside the sauerkraut shack. I overheard an organizer marveling at how much more kraut they had sold that year. By the time I got there around 12:30, there was only one barrel left. The sequoia tree to the left, by the way, is from seeds one of the founders brought back from Californ-i-ay after the Gold Rush. See? 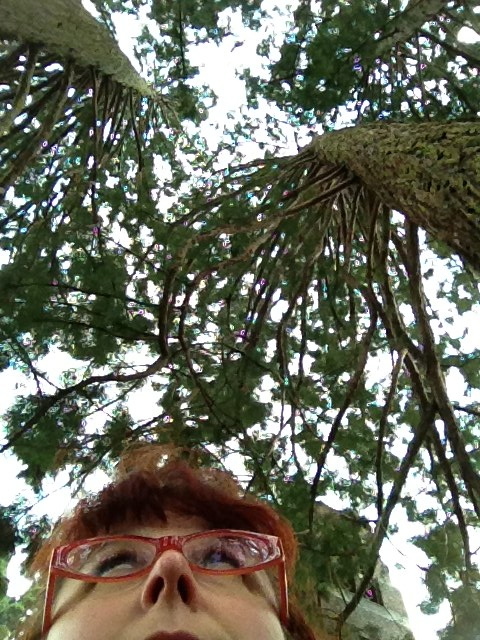 Real sequoias, courtesy of my nostrils. 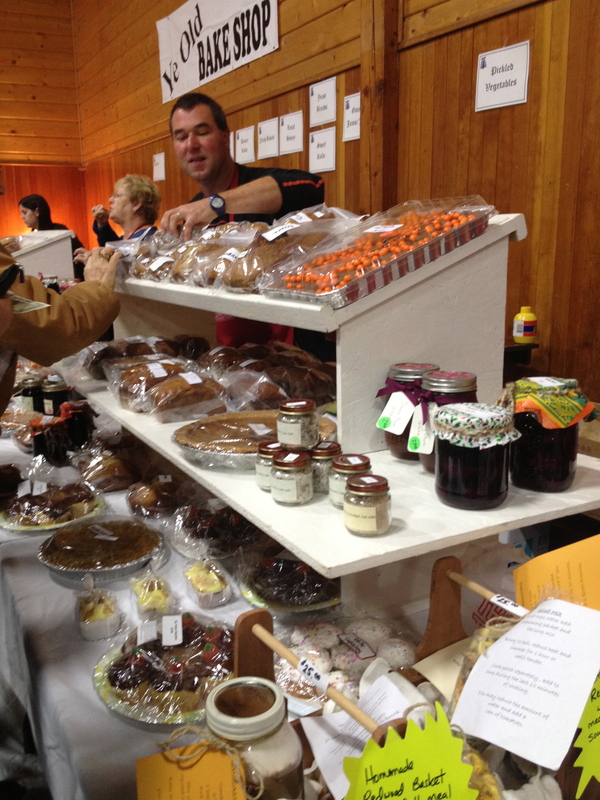 I also briefly stopped in at the church bazaar Ye old BAKE SHOP to chat with the old ladies selling baked goods, pickled vegetables, and candy. I really love old church ladies. 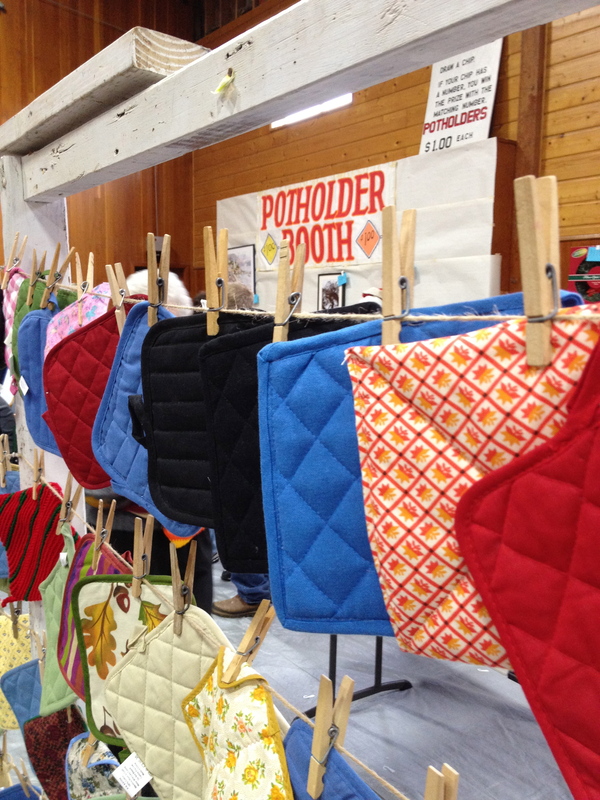 There were some textile arts, too, but that’s largely lost on me. Also lost on me: bingo in smoky tent, sad plant sale with gourds, beer garden that only served Bud and its derivatives (in Oregon? Really?) AND you had to take a bus there because, according to a fireman, the church didn’t want alcohol on the grounds (in Oregon? Really? ), polkaesque Dutch music piped from the church on an endless loop, and the damn weather. Because a potholder just wasn’t going to keep my not-so-skinny heinie warm waiting for 100K to end, already. 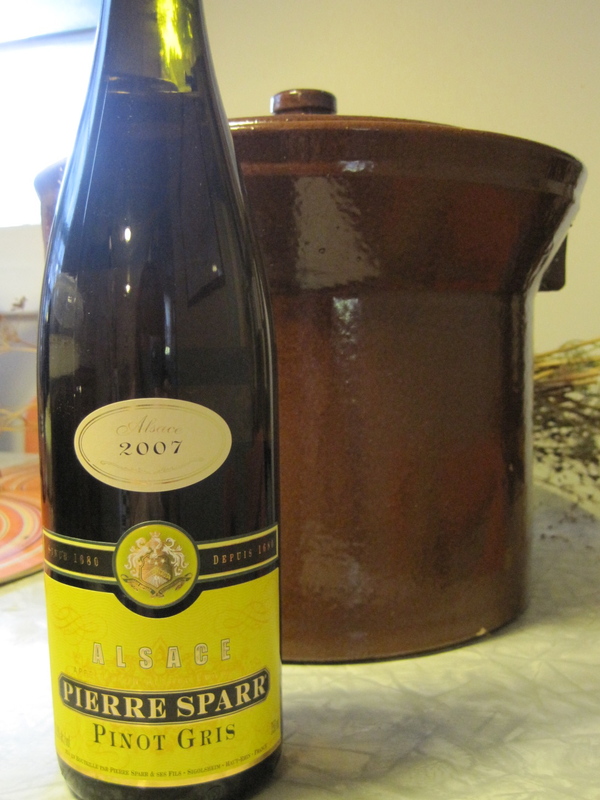 My future plans include this bottle of wine, a 2007 Pierre Sparr Pinot Gris from Alsace, and 7 lbs. of sauerkraut. Wine-braised, juniper-bejeweled, caraway-flecked mountain of Alsatian love, how you beckon. My main plan of attack is to nestle slices of smoked pork loin, mild sausages, a confit chicken leg, and some fingerling potatoes into a big pot full and bake it forever. But I might gently roast some apples in pork fat and serve it with panfried pork chops, or I might just convince Retrogrouch to grill up some kielbasa in the rain. Clockwise from noon: homegrown caraway waiting to be put in jar, new dill pickles, aforementioned sauerkraut and wine, delicata and pattypan squash, mix of red hot and sweet peppers, waterbath canner, walnuts, pressure canner. And a bit of advice: your plans should also include this 2007 Pierre Spar Pinot Gris. It usually sells in the $18 range, but Marché Provisions managed to snag a bunch of cases at $7 a bottle. At that price, you can dump it in a pot of sauerkraut or just swig it from the bottle, but it would be a great wine for a civilized meal, too. I’m thinking fall poultry and pork — you can decide whether or not your family’s Thanksgiving can be called civilized. 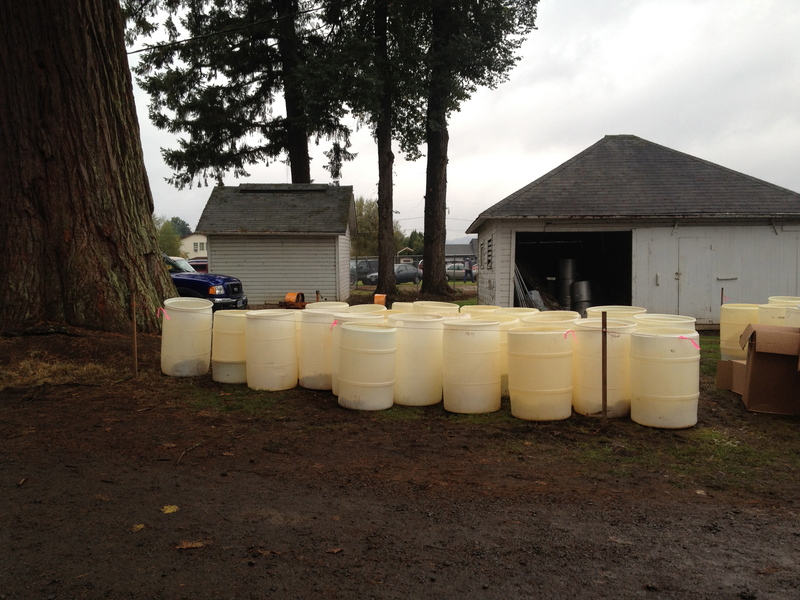 Unlike any Oregon Pinot Gris you’ve ever had (and this is a good thing). High acid personality, dry, witty. Nice floral nose with some rock or petrol to give it backbone, tastes of stone fruit and honey. Meditate on the golden color, remembering the sun. The tulips were finally in their glory last weekend, but the rain did its best to wipe them off the face of the earth. I find early spring in Eugene kind of depressing. April is the cruellest month and all that. The combination of wanting to be outside and the damp chill always get to me. I can’t get warm. I need sun. The dirt beckons! Kind of creepy so stated, no? Ah, what better to pitchfork you out of the funk than a brilliantly colored, flavor burst salad that does perfectly well with storage apples and the rest of fall’s sauerkraut? The proportions are approximate. If you like more carrot or apple, adjust accordingly. The bright colors of the carrots and sauerkraut will stay true and won’t bleed, so feel confident that you can prepare this ahead of time. Serve in a glass bowl, so everyone can dig the color. Vegans will love the blend of pro-biotics, raw vegetables, and a hint of sweetness that suggests the faintest sin. Others may very well enjoy it with grilled sausages. Grate the apples and carrots in a food processor. 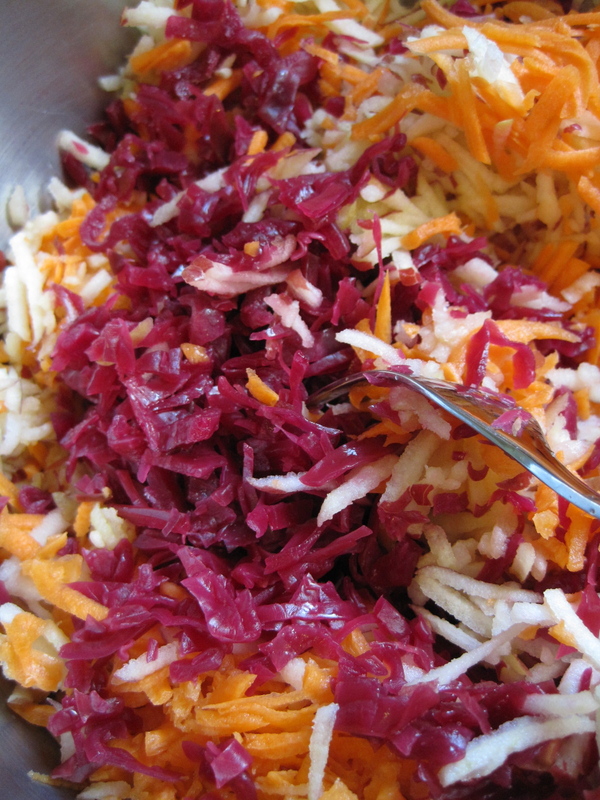 Rinse the sauerkraut if necessary to eliminate some of the salt. Drain sauerkraut well. Chop the sauerkraut and add to large bowl. Add apple and carrot. Dress salad with olive oil, sugar, and caraway, to taste. 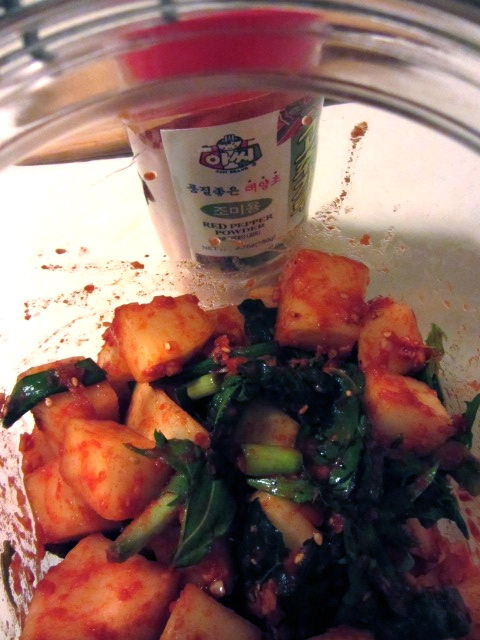 Allow salad to sit in the refrigerator for a couple of hours before serving.